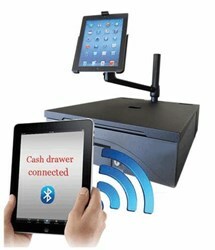 As a new, lighter POS approach emerges, Point of Sale (POS) solutions no longer must depend on PCs to operate. Depending on a system’s configuration, the new POS model can leverage thin clients such as tablets and handhelds, giving the cashier the freedom to transact business at the point of decision with fluidity. For one thing, ISVs stand to widen their market reach and increase profits with customer POS systems with IP-enabled cash drawers. The drawers have built in functionality that ISVs can leverage as revenue generating services. Functions include monitoring and remote control capabilities that enable exception management by alerting managers to unusual events. For instance, if a clerk opens a drawer manually, when it is supposed to be opened remotely from a workstation, the system captures the unusual activity and notifies a manager, who can then determine if the exception was legitimate or ill-intended.